It’s another exciting night of AMERICAN IDOL on FOX tonight with an all new Wednesday February 19, season 14 episode 14 called Showcase #2 and we have your weekly recap below. On tonight’s episode, Showcases continue with hopefuls performing. On the last episode, it was the beginning of the Showcases. Did you watch the last episode? If you missed it, we have a full and detailed recap right here for you. Tonight’s show is going to be an exciting one, which I’m not going to miss and neither should you. Tune in tonight at 8 PM EST! Celeb Dirty Laundry is your go to place for all the up-to-date American Idol News and we’ll be recapping every episode right here for you. 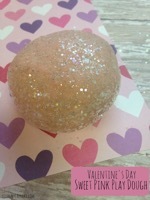 Do you have a favorite to win? Hit up the comments and let us know who you really like! Tonight’s episode of American Idol kicks off with Day #2 of Judgement Day. 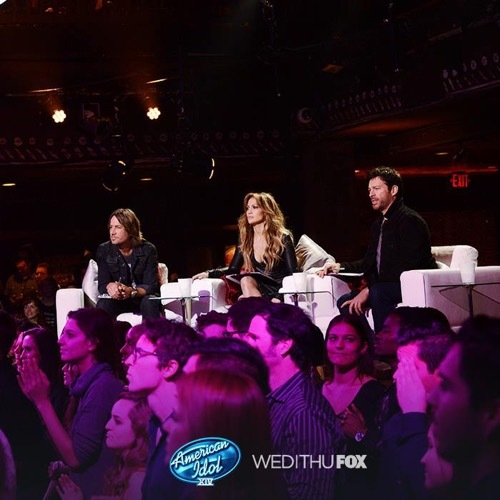 The American Idol judges, Jennifer Lopez, Harry Connick Jr, and Keith Urban sit down with the remaining 48 contestants after their House of Blues performances, and let them know who is being eliminated and who is going on to the next round of American Idol. The first singer to sit down with the American Idol judges is 22 year old Hollywood Anderson. Hollywood joins Jennfer, Keith, and Harry to learn his fate on the TV show. Keith explains to Hollywood that they have decided to eliminate him, and he is not going on to the next round of the TV show. Hollywood breaks down in tears and thanks the judges, and says his goodbyes to Ryan Seacrest. When Joey Cook learns that Hollywood has been eliminated, she begins having a nervous breakdown in the waiting room. Even though Joey nailed her House of Blues performance, she forgot the lyrics on more than one occasion during Hollywood Week and she has been hanging on by a thread. Joey sits down with Jennifer Lopez, Harry Connick Jr, and Keith Urban. Harry goes on a long speech about comparing apples, to oranges, and kiwis and then shocks Joey and reveals to her that she is moving on to the next round and she is part of the American Idol Top 24. 18 year Katherine Winston has floated under the radar so far on American Idol, she hasn’t had any bad performances, but she hasn’t exactly had any memorable ones either. Now, it is time for Katherine to learn her American Idol fate from the judges. She sits down with Jennifer, Harry, and Keith – Jennifer reveals to Katherine that every time she got up on stage something “magical happened,” and they have decided to put her in the Top 24. Up next is 16 year old Maddy Hudson from the San Francisco auditions, she struggled through her group rounds in Hollywood Week – but she managed to hang in there until Judgment Day. Jennifer Lopez explains that she thinks Maddy has a beautiful voice and she needs more time getting comfortable on a stage and getting a few performances under her belt. The judges just don’t think that Maddy is ready for the Top 24 yet, so they have decided to send her home. Quentin Alexander has been a frontrunner since his audition weeks ago – and the judges reveal that he is moving on to the Top 24, along with country singer Alexis Gomez. Savion Wright auditioned for American Idol last year, and he made it to Hollywood Week where he was eliminated on judgment day. But, Savion came back again this year for auditions – and made it all the way to Hollywood Week again. Now, it is time for him to sit down with the judges and learn whether or not he has been eliminated two years in a row – or if this year he will make it to the Top 24. Keith breaks the news to Savior that he is in the Top 24, and apparently the second time is a charm, Savion squeals and sprints out of the room eager to share the good news with his friends and family. 29 year old Mark Andrew is the oldest guy in the competition this year, and he is determined to make it in the music business so that he can pay his bills and support his young son. Although he was exhausted during Hollywood Week and had a few shaky performances, he did nail his House of Blues performance. Now, it’s time for Mark Andrew to learn his fate. Mark sits down with the American Idol judges and Harry Connick Jr. reveals that he is in the Top 24. Trevor Douglas has wowed the judges since his original audition, and her performed “Hunk of Burning Love” on stage at House of Blues. There are only a few spots left in the Top 24, and now it is time to see if the American Idol judges are giving one of those spots to Trevor Douglas. Harry Connick Jr. explains that his vocals weren’t as strong during the House of Blues performace as they expected – but they thinks he is very talented and they are putting him through to the Top 24. Nerdy Trevor thanks the judges, and then announces he needs to get home and do some homework. 15 year old Emily Brooke decided to take a risk and play one of Keith Urban’s songs at the House of Blues performances last night. On Judgment Day Emily sits down with Jennifer, Keith, and Harry Connick Jr. Jennifer breaks the news to Emily that they have decided to eliminate her, and she is not going through to the next round of American Idol. Sarina-Joi Crowe has auditioned for American Idol three years in a row now, and she never seems to make it past Hollywood Week. Now, it is time for Sarina to learn if this is the year that she finally makes it in the Top 24. Harry Connick Jr and the rest of the judges explain to her that the fourth time is the charm and she has finally made it in the Top 24. Qaasim Middleton heads in after Sarina, and the judges announce he is in the Top 24 as well. There is only one spot left for a male singer in the Top 24 – and there are two male singers left to choose from. Ricky Dale Hendricks and Riley Bria sit down with the American Idol judges and learn that Riley is in the Top 24, and Ricky Dale Hendricks has been eliminated and is going home. Jelly Joseph wowed the judges during her New Orleans audition and breezed through Hollywood Week, but her nerves got the best of her right before her House of Blues performance – she still got up on stage and nailed her song though. Unfortunately there is only one female spot left in the Top 24, and it is between Jelly Joseph and Shi Scott. Both girls head in to Judgment Day and the judges announce that Jelly Joseph is eliminated, and Shi Scott is moving on to the next round and is in the Top 24.